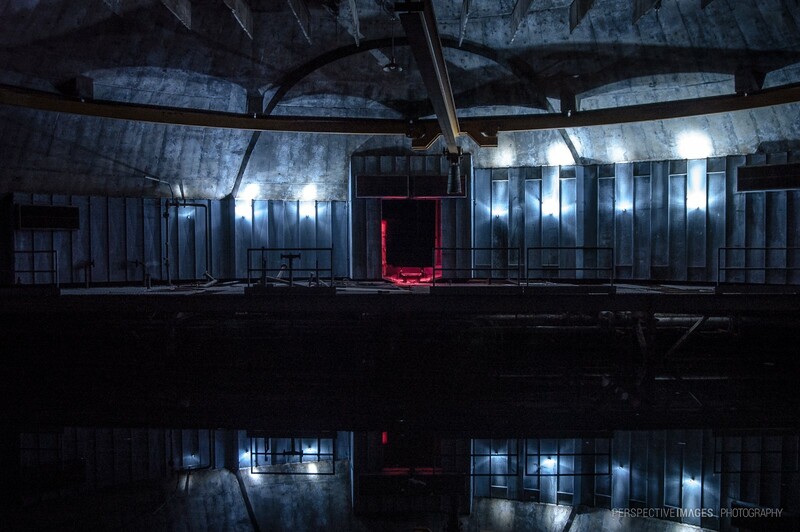 Looking towards the air intake passage of a Titan 1 missile base across the flooded lower level of the Power House dome. Circling the the roof of the Power House, the railing for the crane and center pivoting beam remain with an oil drum still hanging in place from the hook. It was amazing to see such a level preservation in this old place. Absolutely stunning work. I love the detail in the shadows and mid tones. Really nice work! It’s amazing how much is still visible in this dark image! Well done! It’s a great mysterious atmosphere. Futuristic ambiente. Love the lights and reflections.